As we all know (or at least, as anyone who has seen the worst kung-fu ninja movie ever knows), martial arts involve not only attacks, but also defenses. Not only kicks, strikes, punches, and throws, but also defensive maneuvers like blocks, evasions, sweeps, and the like. Probably the most common martial arts defense word that we hear is the word “block”. We hear things like “Block the punch” and “Her kick was blocked”, etc. This word “block” is the most common translation for the Japanese word “ukeru (受ける)”. Another common martial arts defense term that we hear is “avoid”. This is a common translation of the Japanese word “sakeru (避ける)”. When we think of blocking, we often think of hitting or clashing with an incoming weapon. Contact is made, and pain is usually a result, whereas when we think of avoiding we normally think of a graceful passing that is by far the preferred approach. One can imagine that if the interaction between attacker and defender is a course of energy, why would you want to “block” it? Would you want to block a pipe or a drain? Why would you want to block an opponent when you could let him just go right on by? The concept of avoiding has come to be viewed by some as superior to blocking. One of the things that I’ve been noticing in martial arts classes the last number of years is an increase of what I call “lap dog syndrome.” This is where a (ever-larger, it seems) number of people will hang around at the front of the class where Sensei watches people train between teaching techniques. When Sensei has stopped the class to teach, what you see behind him is a line of people standing there with their arms folded like a line of Stormtroopers. There is so much posing and posturing, people laughing at Sensei’s jokes before they are translated when their knowledge of Japanese is nowhere near close enough to understand what he just said. People “guarding the front of the line” when Sensei is doing calligraphy for people in the class. The new Vanguard. They don’t seem to realize that there never used to be one, so we can probably do without one now as well. But to be a conduit to Sensei is a position of power. The reason I can do the technique this way is that I’m using my spine as if it were a rope. Last week Sensei spoke again of the importance of connection, using the examples of the joints in the body. 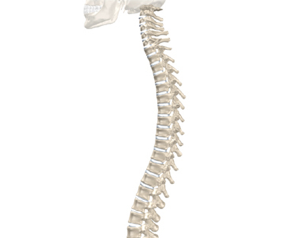 The body has many joints which both connect all the parts together and allow it to move smoothly. The fewer joints, or connections, we have, the less smooth our movement will be. Demonstrating a technique, he said that he could do it this way because he was using all of the joints in his spine together, as if it were a rope. The rope is an important tool in this years’ training theme as it demonstrates the connectedness of things. Sensei also mentioned that the rope is like one big joint working as a whole – it has no links or joints in it, such as a chain does for example, so it can be used in a supple and fluid manner. Perhaps another way of looking at it is viewing the rope as being composed of a billion tiny joints which have been amalgamated into one thing which works as a single unit. All of the separate parts have been united to create a new thing – and the whole is greater than the sum of the parts, as they say. The word for joint in Japanese is ‘kansetsu’ (関節), and it is also interesting that the word for ‘indirectness’ is also pronounced ‘kansetsu’ (官設). I certainly felt both aspects of this when he allowed me to feel the technique. He was controlling me so lightly that it felt like I was being held in place by a single sheet of paper. It was the indirect manner in which he responded to my punch that allowed him to do it. Class started out tonight with a demonstration of one of the first techniques of Togakure-ryu Ninjutsu by Noguchi Sensei. Soke then did his spin-off thing and soon had the full class in a state of confusion. Nothing unusual about tonight in that regard. We did a lot of work with “fist changing” tonight – using multiple strikes against the opponent, changing the strike from one form into another along the way. From a shishinken to a boshiken to a shutoken for example, 3 consecutive strikes with the same hand. It wasn’t as if we were just standing there hitting the other guy repeatedly with one hand though. Sensei stressed the necessity of *walking* through the technique. With every step, a strike would be applied. A step was used to power every strike. Sensei often uses the term “juppo sessho” (’10 ways of interacting’ is one rendering of that phrase) in relation to this “fist changing.” The number 10 represents infinity and circularity, continuous, never-ending change. The martial *artist* must be able to continually adapt his attacks and strategies to best fit continually-changing circumstances, “changing as change is necessary” to accomplish that which [s]he wills to do. From the number 10, Sensei went on to talk about the “bugei juhappan”, 18 martial skills to be learnt by the common Japanese warrior (bushi). 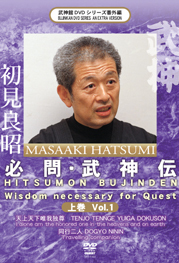 (“Ninjutsu practitioners also study Bugei Juhappan alongside with Ninja Juhakkei (the 18 Ninjutsu fighting art skills).”) Sensei said that by adding this extra dimension, we arrive at the number 36, which is a significant number in ‘fuusui’ (風水, pronounced ‘feng-shui’ in Chinese). He didn’t elaborate, leaving it up to the listener to figure out for themselves. (I could turn it into a ‘93′ by turning it around, but…) He did leave a hint though by stressing the *simplicity* of the concept, stating that its simply a continual circulation in two (or more) directions at the same time, much like the simultaneous circulation of blood through both the arteries and veins through the body. Once again we were left with the teaching that budo is simple, but its simple on a grand scale.